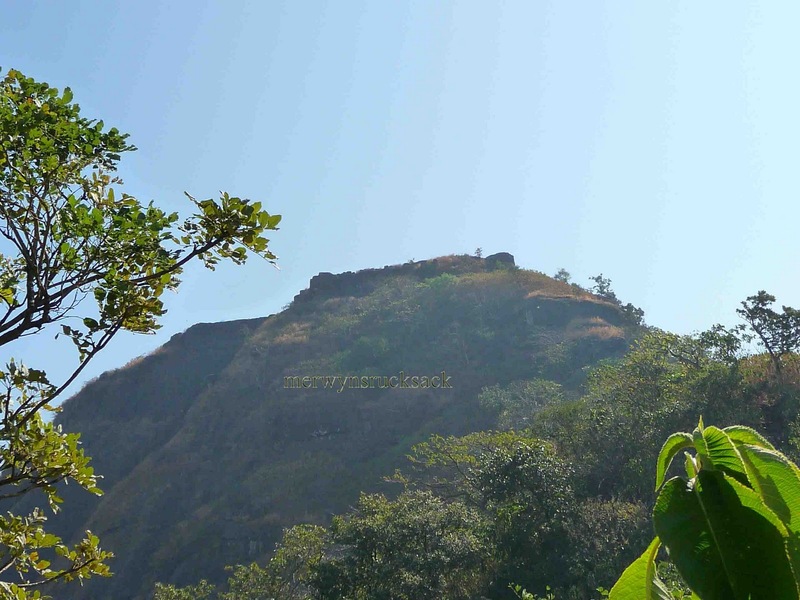 I had planned to go to Alibag to trek up Kulaba and Sagargad forts. However, just a day before our planned trip, I learned from Hithakshi that The Navy Day Parade was to be held at the Gateway of India from where the ferries ply to Alibag. Speaking to the ferry operators, I found out that the ferries would leave as usual in the morning but that there would be no return trips to Mumbai in the evening. We would be forced to return by way of road transport which would be overburdened in the absence of the ferries. Later Hithakshi suggested that we go to Kaldurg fort, based in Palghar, around 1500 feet above sea level. We had planned to see this fort earlier but things had not worked out then. So we decided to go to Kaldurg. Sherwin and I met at Andheri railway station and boarded the 6:23 am train to Virar. Hithakshi boarded the same train at Bhayandar. The train was packed with people. At Virar, we planned to board the Dahanu Shuttle that would take us to Palghar. We reached Virar at 7:20 am. The train to Dahanu was supposed to leave Virar at 7:40 am. The indicators showed no sign of the train. My clock struck 7:40 hrs and still there was no sign of the train. All of a sudden we became aware that there was an outstation train standing on the adjoining platform. We immediately decided to board this train. Had we taken the foot overbridge, we might not have made it to the train. So, on Sherwin's suggestion, we decided to cross the tracks to board the train. In hindsight, I realize that that was a wrong thing to do. No matter how hard pressed for time one is, it is never a good idea to cross the train. It is highly dangerous and one can lose one’s life. However, in the heat of the moment, all we could think of was that the train that we had to catch was waiting on another platform and might pull off at any moment. The coach we boarded was meant for the employees of the railways. So we were informed by the people who were in the train. They warned us to board another compartment or else the TC would penalise us. I decided against changing compartments and we travelled to Palghar in the same compartment. Finally at Palghar, we alighted from the train, safe and sound. After having vada pav for breakfast, we checked out the various modes of transport that would take us to Kaldurg Fort. Strangely, you will not find any vehicle to take you to Kaldurg on the eastern side of the railway line, even though Kaldurg is located in the east. On the western side, there are ST buses and tum tums available. We boarded a tum tum to Wagoba Mandir, the base point from where the trek to Kaldurg starts. The cost of a ticket to Wagoba Mandir by ST is Rs. 7 per head and by tum tum; the fare is Rs.10 per head. It takes around 25 minutes to reach the Temple. Sitting right behind the driver in the tum tum, I observed that we were bidding farewell to Palghar city and entering the village. The sound that the tum tum made was soothing to my ears and it reminded me of the movies that used to feature on television when I was a kid, in B/W format. Near the temple there is a small refreshment store serving cold drinks and dry snack items. 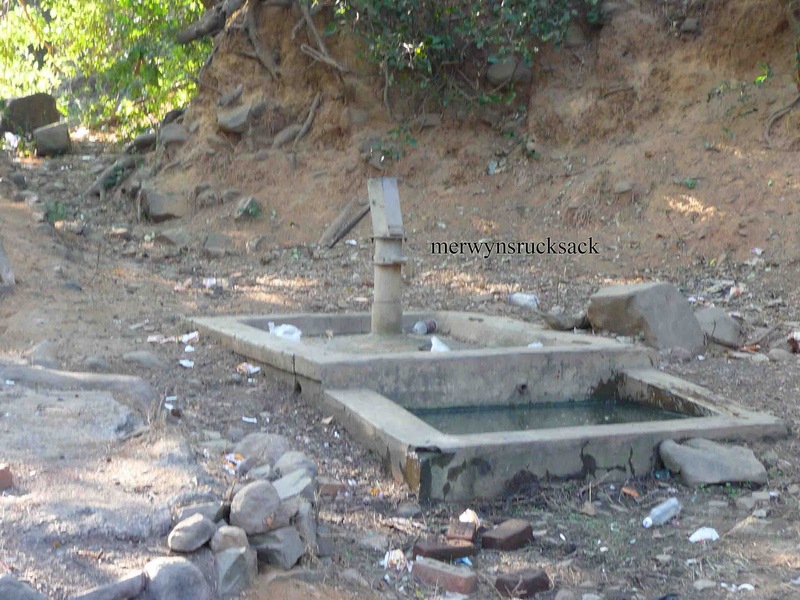 If you haven’t picked up food and water for the trek, then this is the last place where you can do so. 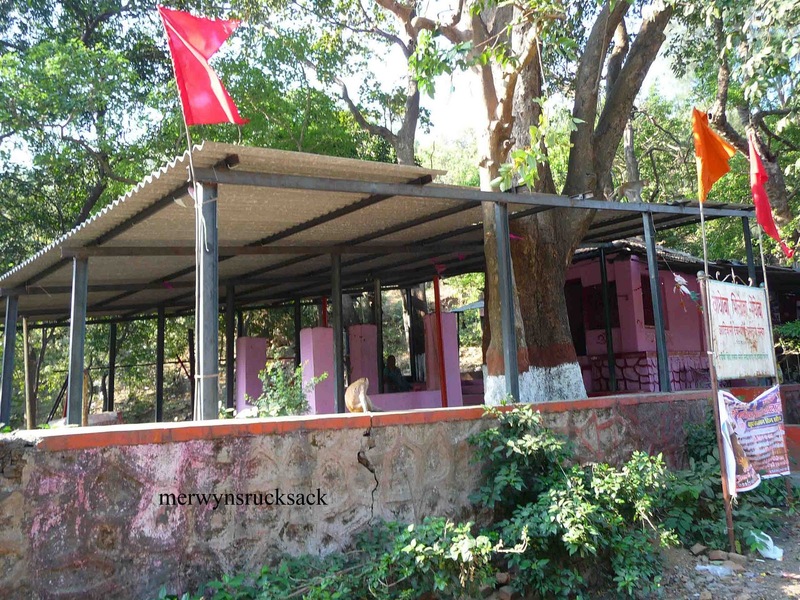 The temple is infested with monkeys. They are all over the place. On our way here we had not caught a glimpse of a single monkey, and all of a sudden there were too many to count here. 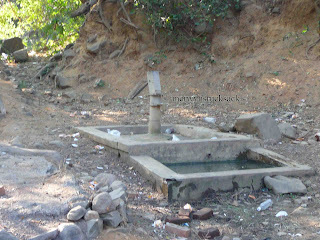 Behind the temple, there is a water hand pump. That is the landmark from where the actual trek to Kaldurg begins. Hithakshi had checked out some internet sites which had claimed that we would reach the top in 45 minutes. Forty-five minutes meant that this would be an easy trek. That is what I told myself and we planned to see Kohoj too as it was nearby. So if it took only 45 minutes to see the forty, we should be able to make good time. Due to the thick forest, we were unable to see the fort. The owner of the refreshment shop also said that the uphill climb would take 45 minutes. Now villagers are not to be relied upon for their timings. What seems to take them 15 minutes will take us upwards of an hour. So their calculations on time should not be taken into consideration. We started climbing via the narrow trails up to the fort. As none of us had any idea about the fort, trial and error was the only method to be followed to reach the top. Wherever we came across multiple trails we decided to follow each of them for 5 minutes to see where it led. Also, as we couldn’t locate any directions or markings on the trail, we began looking out for wrappers as many people have a habit of eating on the way and throwing the wrappers right there. Whenever you go out for treks or outings, please do not dispose of waste wrappers up on the hills. Take them home with you and dispose them in the dustbin. We trekked through the thick forests and balanced ourselves on the narrow trails. At one spot where we were standing, there was an ant hill, home to millions of red ants. Unknowingly, I stepped on it and the ants attacked me; they were all over my pants. Now I didnt notice it but Sherwin did and he told me, "Merwyn, ants on your pants." I said, "What? Where?" I tried to get them off me and finally after a long battle of 10 minutes I managed to get them off me. 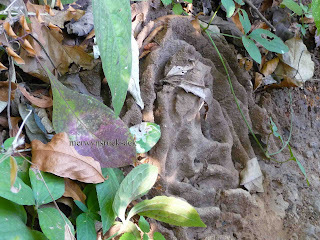 We found many such ant hills on the way. 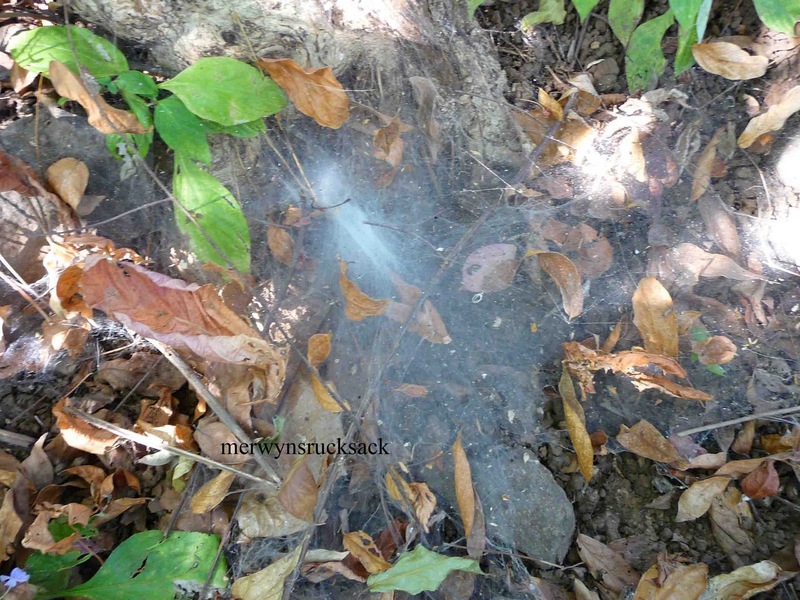 So if you ever go along this trail, stay away from those ant hills. Or else you’ll pay for it the way I did. We finally landed up on a huge rock patch in the middle of nowhere and decided to rest there for a few minutes. Now this place is quite high up. The entire city of Palghar can be seen in the distance from here. From here, we saw the fortification of Kaldurg fort in the distance with a flag right on top. I immediately told Sherwin and Hithakshi about it and that we needed to reach there. 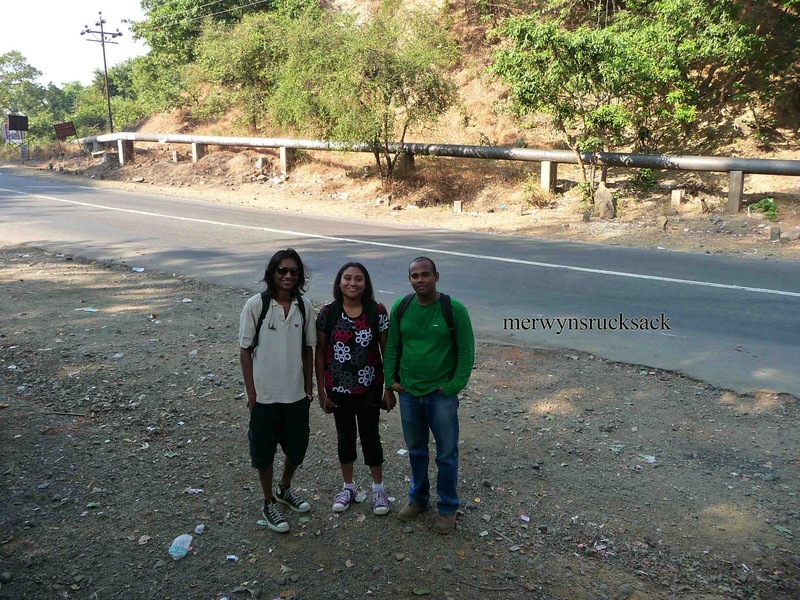 It took us around 1½ hours to reach the rock surface and to trek to the fort. I figured that it would take us another two hours to get there. I wonder how the villagers manage to reach anywhere in 45 minutes. It is truly a mystery. 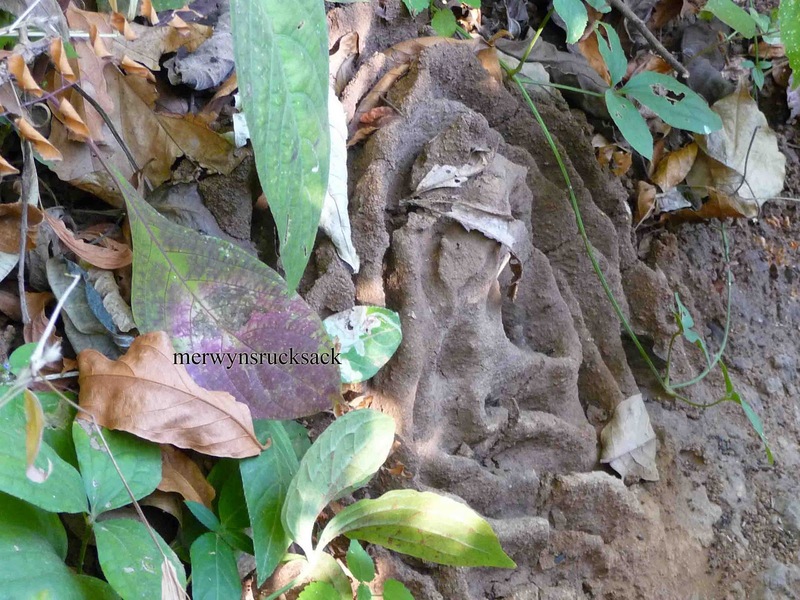 We then started on our trek again via the dense forest and kept walking along the narrow trails. Hithakshi's legs gave in. I guess she was scared and was afraid of falling off the cliff. Her legs trembled. Looking at her plight, we decided to take a quick call as to whether we should go up or not. We then reached a mutual understanding and decided to head back as we didnt want to take any risks. We could surely do this fort another time, if not today. We reached the same rock patch and had our snacks and water there. We later shared our travel experiences with each other and decided to head back to the base. Again our speed was slowed down because Hithakshi was afraid to go down the hills. 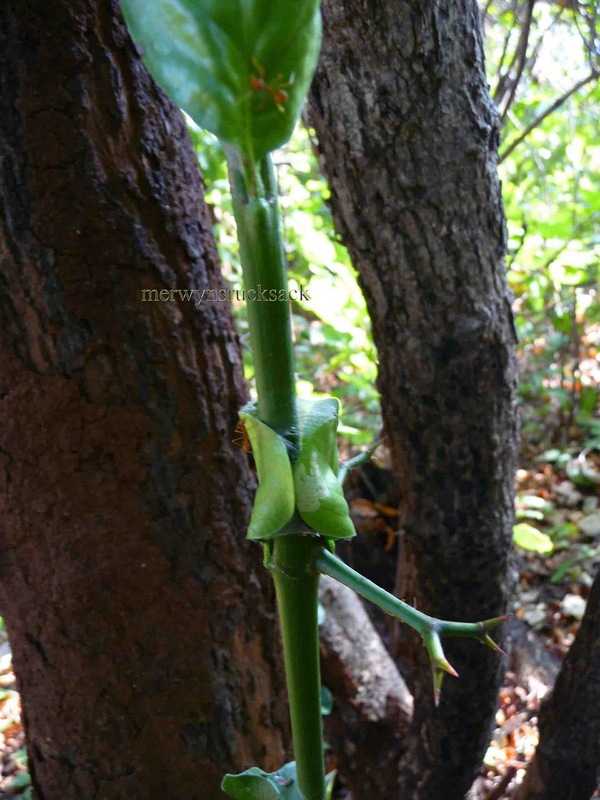 On the way down we noticed silver coloured foils wrapped around the twigs of the trees. We rested at the small shop near the temple and had some refreshments there. There is a big crowd of monkeys and even a bigger crowd of people there to feed them. No wonder they all flock there. The lady too said that it would take around 45 minutes to reach the top. Maybe we followed the wrong path and got lost. God alone knows. We then boarded an ST bus to Palghar station. From there we boarded a passenger train to Virar station. Now the train was packed and the only place we managed to get ourselves a place to stand was next to the loo. The loos stink badly, and even though instructions are put on the doors of the stalls, warning passengers not to use them when the train is stationary, people will still go ahead and use them. The smell of pee is awful and suffocating. I was near the exit door so the stink didn’t affect me much as compared to what Hithakshi and Sherwin had to go through. Finally at Virar we boarded a Churchgate local and headed home. We could not scale Kaldurg fort this time, but we’re going to be back. And next time, we will definitely make it. To read about conquered Kaldurg Fort. the next time im gonna come for this trek with a better pair of shoes my all stars just did not have it in them to make it all the way and back safely. Hey bad luck on ur trip to Palghar.. u guys should have asked for directions from the local people... any ways I suppose u guys had a good time n experience.. better luck next time... I too would like to join u.. once u plan the trip.. do let me know..
Nice explanation of life in India and trips there. I really liked the emotion and the travel that you mixed here in your blog about the unconquered fort. Hope that next time you go to Palghar you are able to conquer Kaldurg Fort. Blogs that are written from the third person point of view very often fail to impact people the way first person accounts do, keep up this writing style, it will ensure more reads and more comments. Cheers and all the best. Ben Fielding, Clifton, New Jersey, USA. Would love to join u surely some day.